MOSCOW (Sputnik) — There was no, there is no and there will be no force that could ever enslave the Russians, the country's President Vladimir Putin said Tuesday at the Victory Day Parade in Moscow. "There was no, there is no and there will be no force that could ever enslave our people. They fought to the bitter end, defending their homeland, and did what seemed impossible, they turned the bloody wheel of the Second World War back, drove the enemy from our land where it dared to come, crushed Nazism, put an end to its atrocities," Putin said. "And we will never forget that it was our fathers, grandfathers and great-grandfathers who brought the freedom to Europe and the long-awaited peace on the planet," the president added. Moreover, according to the Russian president, the international community should join efforts to fight common threats and Russia is open to this kind of cooperation. "The consolidation of the efforts of all international community is necessary for the effective fight against terrorism, extremism, neo-nazism, other threats. We are open to this kind of cooperation," the Russian president said. 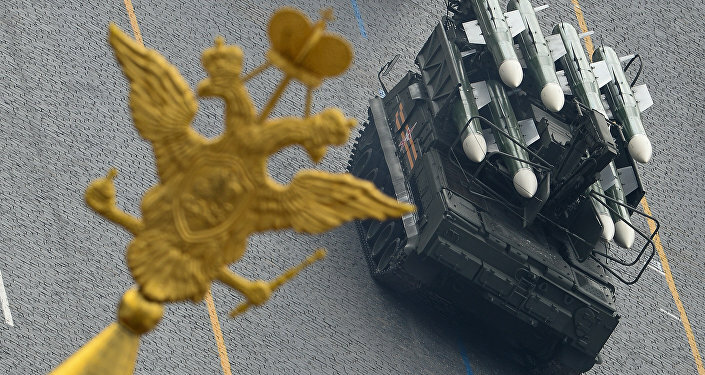 Russian President Vladimir Putin also added at the Victory Day parade in Moscow that the Russian Armed Forces are ready to counter any potential attacks, as the past wars taught Russia to be vigilant. "We will always guard Russia as you, the soldiers of the Victory, did it. And [we will] strengthen the traditions of patriotism, loyally serving the homeland. The lessons of the past war force us to be vigilant and the Russian Armed Forces are ready to repel any potential attack," Putin said. The Russian president stressed that the need to strengthen the defenses was dictated by the life itself.